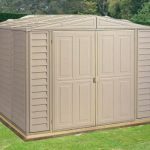 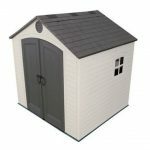 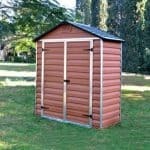 As the name suggests this is a great side shed with a slanting roof and a large single door. 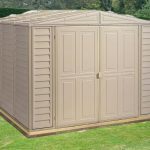 Constructed from PVC it will last for years and is completely weatherproof, rot-proof and fire resistant plus it is maintenance free so will retain its functionality and good looks for a very long time. 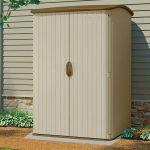 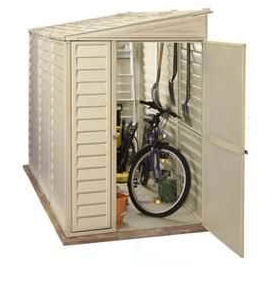 This is great storage, with ample space for light gardening equipment, garden furniture and outdoor toys or use for storing bicycles and scooters, either way it’s a welcome addition to any garden. 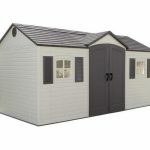 I would like the shed but due to the weight of the packaging as well as additional base required it is not possible.